Submitted by Jason Horton on Aug. 29, 2017..
86 out of 100. Incorporating 80+ ratings and reviews. This is a traditionally styled acoustic-electric with a spruce top and mahogany body combined with Fishman electronics with a built-in tuner. 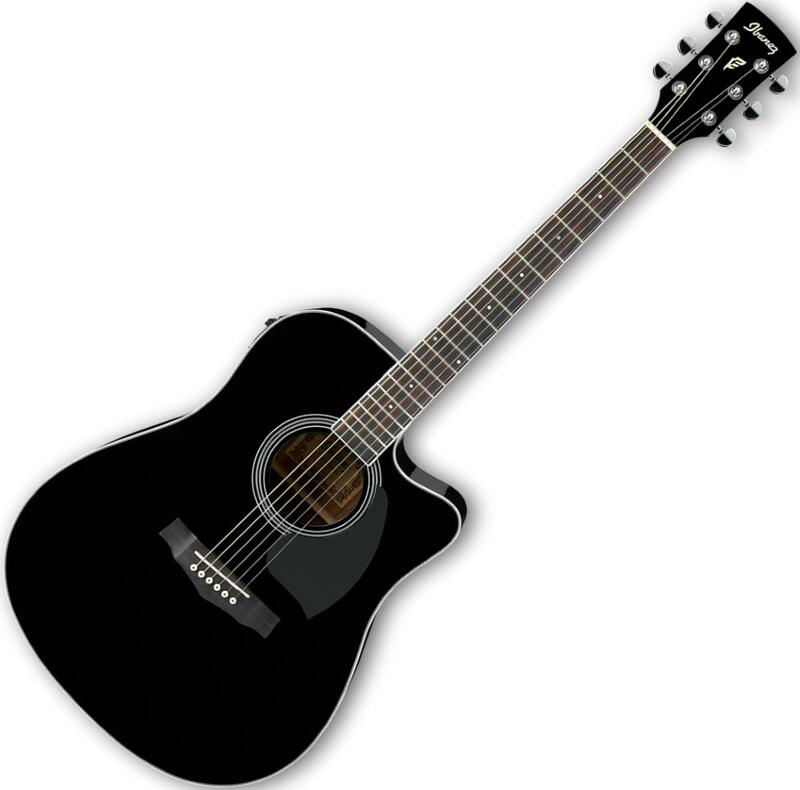 The dreadnought shape provides good projection (it sounds loud) and the cutaway provides easy access to the high frets. Positive customer reviews came from both beginners and experienced guitarists with the dominant theme being 'great guitar for the money' and the Fishman electronics were also cited many times. There were no consistently reported negatives in customer reviews other than a small number of people who mentioned the action was a bit higher than they expected. If you're looking for a student acoustic-electric, or something to use as a practice guitar, then the PF15ECE is a good option. Although this was one of the guitars we recommended until August 2017, there are now more highly rated options available in our guide to The Best Acoustic-Electric Guitars.